Anita Shreve in her Biddeford Pool home studio in 2014. Shreve, who had been battling cancer, died Thursday at her home in New Hampshire. 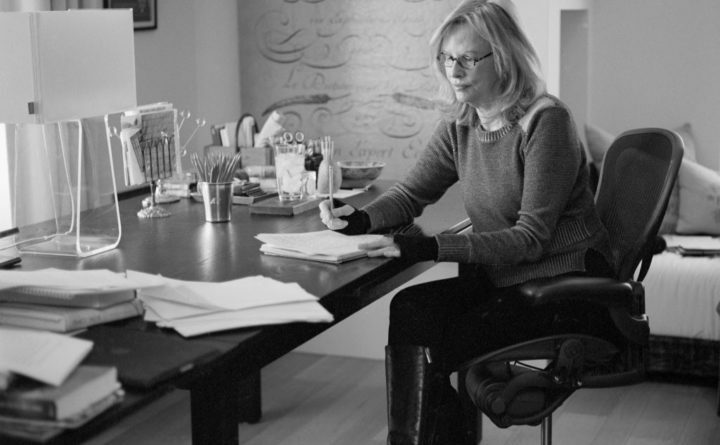 NEW YORK — Anita Shreve, the best-selling novelist who explored how women responded to crises past and present in her native New England in favorites such as “The Pilot’s Wife,” ”Testimony” and “The Weight of Water,” has died. She was 71. “Her body of work is extraordinary, and her books will continue to be read for generations,” Pavlin said. Shreve’s novels sold millions of copies, especially after Oprah Winfrey chose “The Pilot’s Wife” for her book club in 1999. Shreve was also a favorite source for Hollywood. “The Pilot’s Wife,” ”Resistance” and “The Weight of Water” all were adapted into movies. Her literary honors included an O.Henry Prize for the story “Past the Island, Drifting” and being a finalist for England’s Orange Prize for “The Weight of Water.” Shreve wrote 19 novels in all, and preferred to work in longhand. Born in Dedham, Massachusetts, and a graduate of Tufts University, she began writing fiction while a high school teacher in Reading, Massachusetts. She was a fan of Edith Wharton’s “Ethan Frome” and would tell her own stories of haunted characters. In “The Pilot’s Wife,” a woman contends not just with grief after her husband dies in a plane crash but also suspicions about the tragedy itself. “The Weight of Water” is partially based on the deaths of two women off the New Hampshire coast, the so-called “Smuttynose Murders” of 1873. In ” The Stars Are Fire,” a devastating blaze upends the world of a Maine housewife. The book was inspired by the so-called “Great Fires” that swept through Maine in 1947.